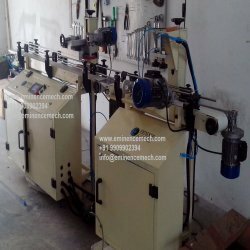 Prominent & Leading Manufacturer from Ahmedabad, we offer bottle leakage testing machine, jerry can leak tester, bottle leakage detection, tin container leak testing machine, wide mouth tin container leak testing machine and multy head leak tester. With rich industry experience, we are the prominent manufacturer, exporter and supplier of Bottle Leakage Testing Machine. Use for testing leakage of bottles & reject if any, the offered leakage testing machine is manufactured by our professionals in strict adherence to the market standards at our production unit. 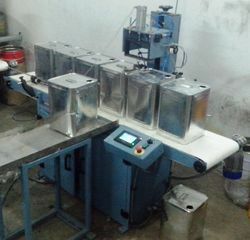 This leakage testing machine is tested against every set parameter to make certain default free range. In our broad assortment of products, we are manufacturing, exporting and supplying a qualitative gamut of Jerry Can Leak Tester. Large cans are checked through this machine for leakage, our offered can leak tester is designed by our workforce using latest technology as per the set industry norms. 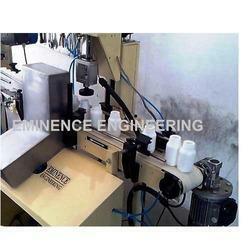 Also, we also provide our can leak tester in customized solutions as per with customer’s requirements. This can leak tester is available from us at market rates. We hold the proficiency in offering premium quality Bottle Leakage Detection. Our offered product is provided in several stipulations to choose from. This product is designed using top class components and modern technology under the direction of our skilled personnel. Offered product is checked on well-defined parameters in order to offer defect range at the clients' end. Automatic Tin Container Leak Test Machine is designed for Tin Box or containers leak testing.Tin Container Leak Test Machine will check the containers whether it will leak or not. There will be auto rejection system for leaked containers. This system can be online with existing conveyors. Why Tin Container Leak Test Machine? • No changeover parts at container changing which provides minimum time. • It can workout for any shape like round, oval, square, etc. It is enable for unsymmetrical shape of containrs also. • User friendly & maintenance less design. • Low noise level at higher speed. Automatic Container Leak tester is designed for Wide Mouth Tin containers. Leak Tester machine will check the Containers whether it will leak or not. There will be auto rejection system for leaked Containers. Container size: 1 Lit to 50 Lit. We are the prominent manufacturer, exporter and supplier of a wide array of Multi Head Leak Tester. This product is manufactured by utilizing the optimum quality raw material and leading technology. Our product is extensively demanded in the market due to its performance. Offered product is available from us in numerous stipulations to choose from.